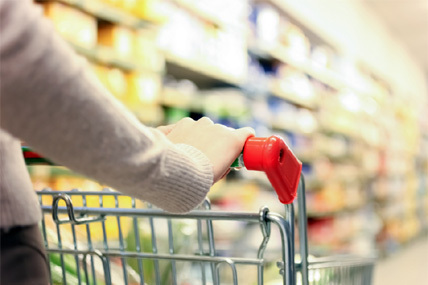 The latest grocery share figures from Kantar Worldpanel, published for the 12 weeks ending 23rd, Jan 2015, show the grocery market in China growing at 4.4%. The weakness is somehow caused by the timing of the Lunar New Year may have exaggerated weakness in purchases to stronger pre-holiday spending in January last year. The new year fell on January 31 in 2014 but was on Feb 19 in 2015. The growth was especially weak in the North region. All leader retailers in China reported signs of weakness in share on like for like basis. Sun Art group maintained its leading position with 7.2% share in the latest 12 weeks, but 0.1 point lower than year ago. Despite being still one of the most successful retailers in China, Sun Art group saw share stagnancy except for the South Region. In spite of expansion on scale, the Vanguard group (now including Tesco) continued to lose ground. This was primarily caused by weak performance of its Tesco portfolio. The acquisition of Tesco has not yet sailed to its course, with severe losses of shoppers by its Tesco stores. Although Yonghui’s market share remained flat at 2.2% in the latest 12 weeks, the retailer has consistently grew its sales and market share compared the same period year ago. The consistent growth is powered by aggressive store expansion. In total, Yonghui opened 54 new stores in 2014. *The Grocery Market Share data is derived from Kantar Worldpanel research covering the household grocery purchasing habits of 40,000 demographically representative urban households in China for their consumption at home. All data is based on the value of items being purchased by these consumers. Kantar Worldpanel only supports data published in the context in which it was originally presented. Kantar Worldpanel does not endorse any other interpretation of our data.